I only grew up hearing about Hanukkah. Do you mind sharing how you celebrate it? Sure. Let me get back to you when I get home. I’m at work right now, and all I have is a phone to type on! Alright, for those curious, Hanukkah is a Jewish holiday dating back to the 2nd century BCE (so anyone calling it “Jewish Christmas” is dead wrong about that). During that time, Israel, or Judea as it was known then, was ruled by the Syrian Greeks. In about 167 BCE, the ruling Emperor Antiochus decided to ban all religions but the Greek religion. Naturally, this upset the monotheistic Jews, and they started a rebellion led by the priest Mattathias, which was later taken up by his son Judah Maccabee, or “Judah the Hammer” (yeah, we were using wrestler names well before anyone else was). Despite smaller numbers, the Jewish rebels were able to use guerilla tactics to force the Syrian Greeks into submission and agree to reverse the ban. However, the major miracle occurred in the midst of the conflict, after the city of Jerusalem was liberated. Judah and the other Maccabee rebels went to the Temple, which they found was filled with idols and desecrated. 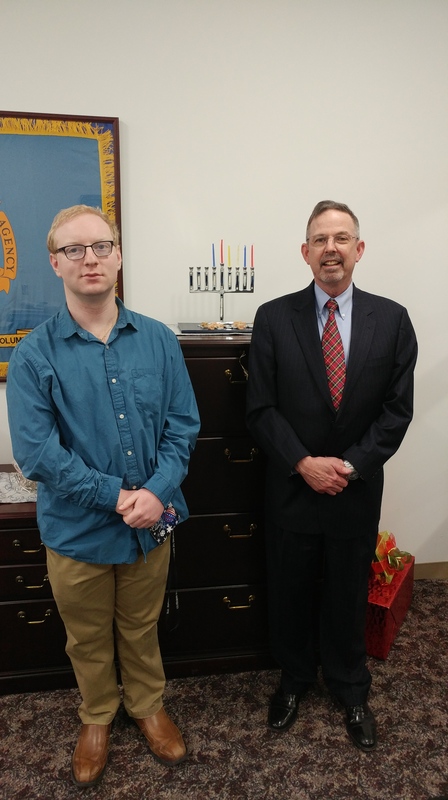 They proceeded to clean it up and have a rededication, or “Hanukkah.” Just one problem: the menorah, at that time, was a seven-branched candelabra, was out, which is NEVER supposed to happen. Unfortunately, there was only enough holy oil to keep it lit for one day. Somehow though, the oil lasted eight whole days, allowing time for the production and procurement of more oil. This miracle is the basis of Hanukkah. 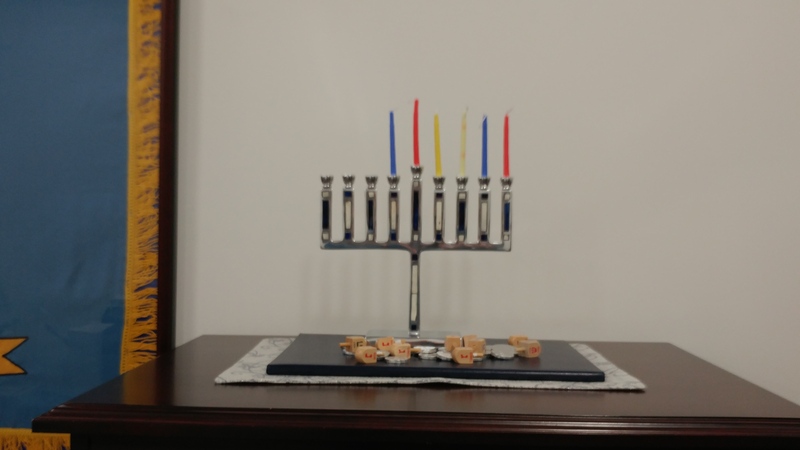 For eight nights, we light a nine-branched menorah (one for each day, plus one candle with the specific task of lighting the others) to remember the miracle. We also eat fried foods such as potato pancakes and jelly donuts to remember the miracle of the oil, and play with dreidels, a top used for gambling games. Each side of the dreidel has a letter on it with a specific meaning, both for the game and for recalling the miracle, and were first used during the revolt to make Greek soldiers think the Jews were gambling rather than studying Torah. Oh, and gift-giving is also part of the holiday. That’s Hanukkah in a nutshell for you. Hope you found that helpful. That’s extremely helpful! I appreciate you taking the time to explain it. What an awesome event to celebrate. 🙂 It must have taken a lot of courage for those men to stand up for the faith like that. We may need that courage and faith, given the current atmosphere. We can look to them for inspiration, thankfully.